Alongside wills and trusts, beneficiary designations play a critical role in a complete estate plan. By simply filling out a beneficiary designation form, individuals can bypass probate and designate who will receive a specific asset upon their death. Today, a variety of assets can be transferred through a simple designation form, including bank accounts, stocks, bonds, retirement accounts, life insurance policies, commercial annuities and, in some states, even real estate, vehicles and boats. 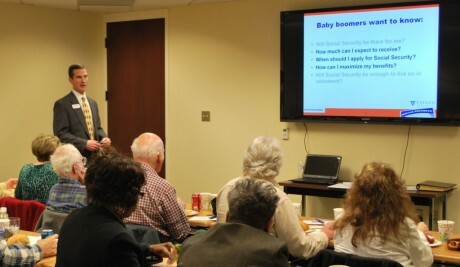 Recently I gave a presentation on estate planning basics from a financial planner’s viewpoint. When trying to explain overlapping topics such as wills, trusts, probate, account titling and beneficiary designations, I realized how confusing all this is for most people. So, I am doing a deeper dive into beneficiary designations and how they can be used, and misused, in planning. While the process seems fairly straightforward, problems can arise and mistakes can be made when individuals execute these forms without a complete understanding of how they operate. Therefore, when completing a designation form, the owner should work with an advisor to ensure the form successfully achieves their goals and to avoid common mistakes. This article is the first in a series about beneficiary designations. This article will explain the different types of beneficiary designation forms, provide basic information as to how they operate and explain how they can be used to achieve specific goals. In future posts, we will discuss common mistakes and using transfer on death deeds. A payable on death (POD) designation enables bank account holders to fill out a simple form indicating who will receive the funds upon the account holder’s death. A POD designation can be set up for checking accounts, savings accounts, money market accounts and certificates of deposit (CDs). To set it up, the account holder must contact his or her banking institution and complete a brief form identifying who will receive the funds upon the account holder’s death. The beneficiary will be able to receive the funds without the probate court’s involvement (because they aren’t transferred via the account holder’s will). Transfer on death (TOD) designations can also be used for stocks, bonds and brokerage accounts and operate in the same fashion as POD accounts. Almost every state has adopted the Uniform Transfer on Death Securities Registration Act, which allows owners of securities (like stocks, bonds and brokerage accounts) to pass their assets directly to another person or institution upon death without having to go through probate. When the owner of the securities registers the account, he or she can select beneficiaries of the stocks, bonds or brokerage account. A transfer on death (TOD) deed enables an owner of real property to execute a deed during life naming the individual who will receive title to the property upon the owner’s death. Just like a regular deed, a TOD deed must be prepared, signed, notarized and recorded. In addition, a TOD deed must state that it will not go into effect until the owner’s death. However, unlike regular deeds, TOD deeds can be revoked because the beneficiary does not receive a present interest in the property. Upon the death of the property owner, assuming there have been no revocations, the beneficiary will receive title to the property without the involvement of the probate court. Not all states allow TOD deeds for real estate. Currently, a little over half of the states allow TOD deeds. The states that allow TOD deeds are: Alaska, Arizona, Arkansas, California, Colorado, District of Columbia, Hawaii, Illinois, Indiana, Kansas, Minnesota, Missouri, Montana, Nebraska, Nevada, New Mexico, North Dakota, Ohio, Oklahoma, Oregon, South Dakota, Texas, Virginia, Washington, West Virginia, Wisconsin and Wyoming. Each state has its own rules and regulations governing the use of TOD deeds. As such, it is important to look to the law of the state where the property is located before moving forward with a TOD deed. Additionally, some states allow car owners to name TOD beneficiaries for their vehicles. To be effective, the designation must be listed on the vehicle’s certificate of registration. Like TOD deeds for real estate, designating a TOD beneficiary of a vehicle does not give the beneficiary any rights in the vehicle. The vehicle owner can still sell the vehicle, give it away or name someone else as the beneficiary. Only the following states currently allow TOD vehicle registration: Arizona, Arkansas, California, Connecticut, Delaware, Illinois, Indiana, Kansas, Missouri, Nebraska, Nevada, Ohio, Vermont and Virginia. In addition, California, Indiana and Ohio allow individuals to use TOD beneficiary designations for small boats. When an IRA, 401(k) or other qualified retirement plan is created, the owner of the account is asked to fill out a beneficiary designation form provided by the plan or account administrator. When the owner passes away, the account balance passes to the selected beneficiary without passing through probate. The account holder is able to change the beneficiary designation at any time before he or she passes away. While there is wide latitude in selecting a beneficiary, in community property states and certain other circumstances it is often required that a spouse be designated as the primary beneficiary of a retirement account unless he or she waives that right in writing. When retirement funds pass to a non-spouse beneficiary upon the owner’s death, the beneficiary will have to pay tax on proceeds as “income with respect to a decedent” (IRD). Note, however, that retirement assets can be transferred tax free to another qualified plan or to charity. A life insurance owner must designate a beneficiary to receive the benefits of the policy upon the owner’s death (or upon the death of the policy’s measuring life). The beneficiary can either be revocable and thus, changeable at any time, or the beneficiary can be irrevocable, meaning the beneficiary cannot be changed without his or her consent, unless the estate is the designated beneficiary. The life insurance proceeds will bypass probate upon the death of the insured and will automatically pass to the named beneficiaries. Unlike retirement plans, beneficiaries of life insurance policies typically will not have to pay income tax on the life insurance proceeds. The owner of a commercial annuity can designate a beneficiary who will be entitled to receive the value of the annuity—or annuity payments that remain—after the death of the annuitant. The beneficiaries must be named in the policy and can be changed at any time, unless the designation is irrevocable. Like other designation gifts, the value will pass to the beneficiaries without going through probate. Whether or not a beneficiary will receive payments after the annuitant dies will depend on the type of annuity created. Like retirement accounts, when the annuitant passes away, the beneficiary will have to pay tax on the ordinary income element of the annuity’s value that they receive (since the annuity is an IRD asset). After the owner of a policy, account or fund (hereinafter referred to as “owner”) designates a beneficiary, the owner remains in control of the asset or account and can continue to use it however he or she desires. The beneficiary does not have a vested interest. As such, the owner can spend the money, close the account, change the beneficiary or revoke the designation at any time. Upon the death of the owner, the beneficiary can typically claim the funds by simply going to the institution that is holding the funds and presenting valid identification along with proof of the owner’s death. While the law varies from state to state, proof of the owner’s death can typically be satisfied by providing a copy of the owner’s death certificate. It is worth noting that if the account is a joint account, then upon the first owner’s death, the account will likely become the property of the surviving owner. Then, upon the surviving owner’s death, the designated beneficiaries will be able to claim their shares (unless the surviving owner revises the beneficiary designation). The owner typically has wide latitude when deciding how the beneficiaries will be designated. Most forms allow the owner to designate primary beneficiaries and multiple contingent beneficiaries who will receive the asset in the event that the primary beneficiaries predecease the owner. Additionally, some forms have a catch-all “default” beneficiary for instances where all primary and contingent beneficiaries predecease the owner. The beneficiary can be a person, a trust or an institution (e.g., charity, church etc.). Most forms permit the owner to specify what percentage of the account each beneficiary is entitled to receive. Otherwise, if there are multiple primary beneficiaries, they will each receive equal shares of the asset. Additionally, some beneficiary designations allow the owner to specify whether the asset is to be distributed per stirpes (equally among branches of the family) or per capita (by total living headcount). If the owner selects (and the beneficiary form allows) a per stirpes distribution, then the share of a named beneficiary who predeceases the owner will pass to his or her children. If the owner elects to have a per capita distribution (or the form does not have a per stirpes option) and one of the named beneficiaries predeceases the owner, then the deceased beneficiary’s share will be divided among the living designated beneficiaries (rather than being passed to the deceased beneficiary’s heirs). Note that the preferred distribution option will depend a great deal upon the wishes of the owner. As such, it would be beneficial for the owner to sit down with an advisor to thoroughly discuss both distribution options and their implications before deciding on a distribution scheme. There are multiple ways that a beneficiary designation might fail. A designation could fail because the beneficiary’s identifying information lacks specificity or because the beneficiaries all predecease the owner. If a beneficiary designation fails, then the funds within the account will be included in the owner’s probate estate. The main difference between a beneficiary designation and a will is that the property passing by way of a beneficiary designation will go to the beneficiary without having to pass through probate. The probate process has a cost that varies by location, might delay the transfer of assets, and creates a public record of assets the decedent owned and to whom those assets were left. In addition, the assets left in a will can be subject to a will contest and result in beneficiaries battling over the decedent’s property. Thus, beneficiary designations can often transfer assets more swiftly than a will and avoid potential court contests. In addition, beneficiary designations will not be matters of public record. When considering the relationship and distinction between beneficiary designations and wills, it is important to understand that a beneficiary designation trumps whatever is written in a will or trust. Bubba is the owner of a large investment portfolio. When he opened the account, he named his sister Jennie as the transfer on death beneficiary. Nine years later, Bubba and Jennie had a significant falling out. Bubba drafted his will after this falling out and specified that his best friend, Brock, would receive Bubba’s portfolio upon his death. A few years later, Bubba passed away. Even though Brock was subsequently listed as recipient of the stock in Bubba’s will, Jennie received the stock because the beneficiary designation, not the will, controlled. As this example illustrates, a lack of understanding and coordination when utilizing various estate planning tools can lead to unintended consequences. An upcoming article will delve further into these potential mishaps and provide preventative measures and solutions to avoid undesirable results. One advantage of a beneficiary designation is its simplicity from both the owner and the beneficiary’s standpoint. The owner is able to easily designate a beneficiary by filling out a short form and returning it to the appropriate institution. For the beneficiary, typically all that is needed to collect the asset is proof of the owner’s death and proper identification. Beneficiary designations also give the owner flexibility to both use the asset and to amend beneficiaries if there is a change in circumstances down the road. Since the beneficiary does not have a vested interest, the owner is under no binding obligation to leave the funds to the beneficiary or use the asset in a particular way. Thus, the owner is free to do what he or she wishes with the property. While clients often spend a great deal of time with their estate planning lawyers when drafting their wills and trusts, they often fail to move forward with updating beneficiary designations and changes to account titling. Even if the lawyer has given detailed instructions on what needs to be done beyond the documents, it often goes undone. For clients of VWP, we offer to attend meetings with clients and their estate planning lawyer so we are all on the same page. We receive copies of the client’s documents and have a thorough understanding of what needs to happen to conform account titling and beneficiary designations to the planning documents. We can then make sure the client follows up with getting the changes made, ensuring the plan is complete. A properly executed beneficiary designation can be an effective means of transferring assets to friends and loved ones. By filling out a designation form, bank accounts, securities, retirement funds, commercial annuities and life insurance policies can be transferred to beneficiaries without probate. In some states, real property can also be transferred through a beneficiary designation if the state allows transfer on death deeds. A beneficiary designation is a beneficial component of a comprehensive estate plan, easy for the owner to execute and enables the beneficiary to claim the asset fairly easily. However, proper planning with an advisor is recommended in order to ensure that the asset is transferred as intended and the goals of the owner are accomplished.